A man threw a petrol bomb at the lakeside Yangon compound of Myanmar’s leader Aung San Suu Kyi on Thursday, officials said, a rare attack on a national figurehead who enjoys strong domestic support but has drawn global outcry over her reticence to speak up for the Rohingya. There was little damage caused by the attack, Kyi Toe, an official from her National League for Democracy (NLD) party wrote in a Facebook posting. “Nothing was destroyed or burned… Our respected security forces are continuing their work so they can arrest the culprit,” he added. 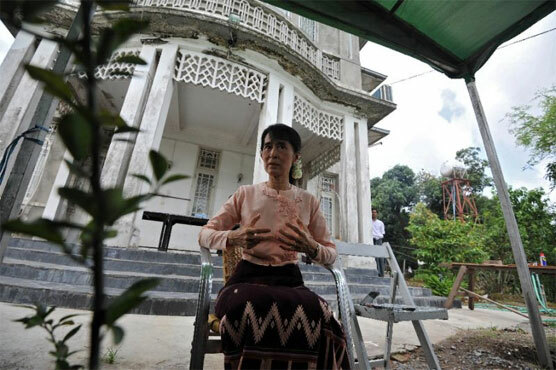 But the attack is symbolic — Suu Kyi was held for long years at the house by the former junta, occasionally leaning over the famous gates in appearances that galvanized the democracy movement.